Reception: Friday, May 22 at 10:30 a.m.
"Freedom Expressions ATL" features more than 50 student works of art, in addition to select professional pieces, that were produced around the theme of human trafficking. The works promote awareness of the horror that is modern day slavery and call for an end to human trafficking. 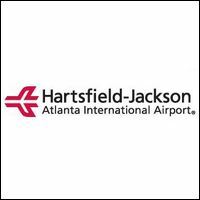 The pieces are displayed in the Hartsfield-Jackson Atlanta International Airport Atrium and on Concourse E.
Parking: Paid parking is available in lots designated for hourly, daily and economy visitors depending on the length of your stay at the airport.